The parameters above are only for reference. 1. 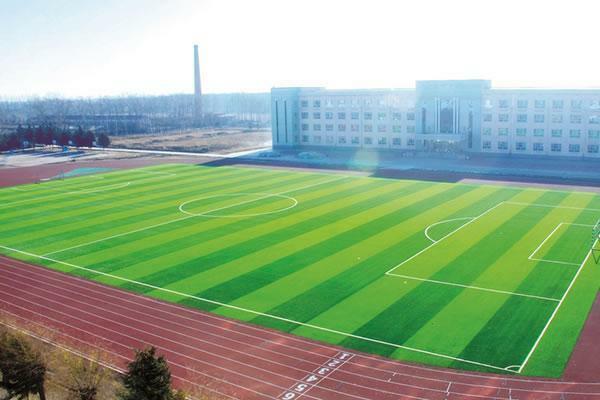 This type of athletic field turf grass is patented in China and known for outstanding properties like uprightness, rebound resilience, flexibility and anti-abrasion. 2. By implementing W-shape blade technology, there is no need to worry about the temperature of the football playing surface. The special shape grass fiber reflects the sun rays rather than absorbs them. Moreover, the notch of the fiber keeps certain amount of water, thus adjusting the turf temperature and extending its longevity. The synthetic turf is well suited for stadiums, training court, school pitches, leisure area, etc. Looking for ideal Custom Football Turf Manufacturer & supplier ? We have a wide selection at great prices to help you get creative. All the The Custom of Football Turf are quality guaranteed. We are China Origin Factory of Artificial Grass Yarn for Football. If you have any question, please feel free to contact us.